Polantis, how does it work ? "In the search bar, type whatever you want. 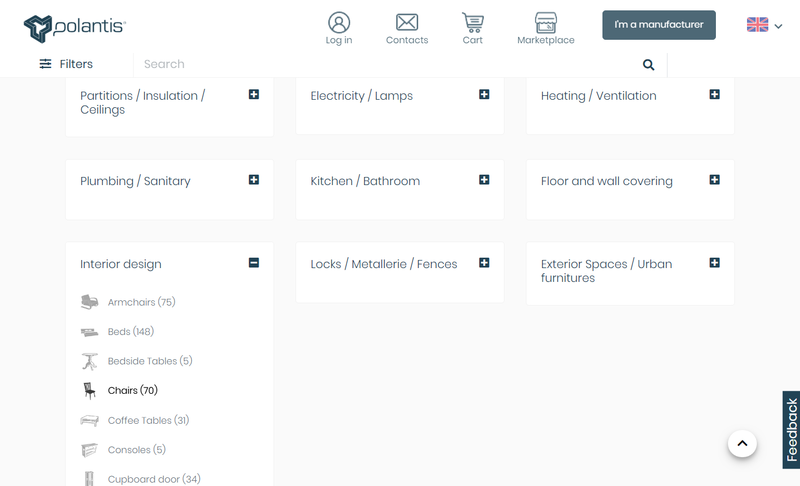 The first results page shows objects you can filter by their brand, type, format, material, LOD or country of production. In a second step, you can use the filter to hide or show the "Market objects" or the "2D drawings". In the left column, you will find all the manufacturers for this type of object." The middle part of the screen showcases some of the newest models and recommends objects that you might find interesting. 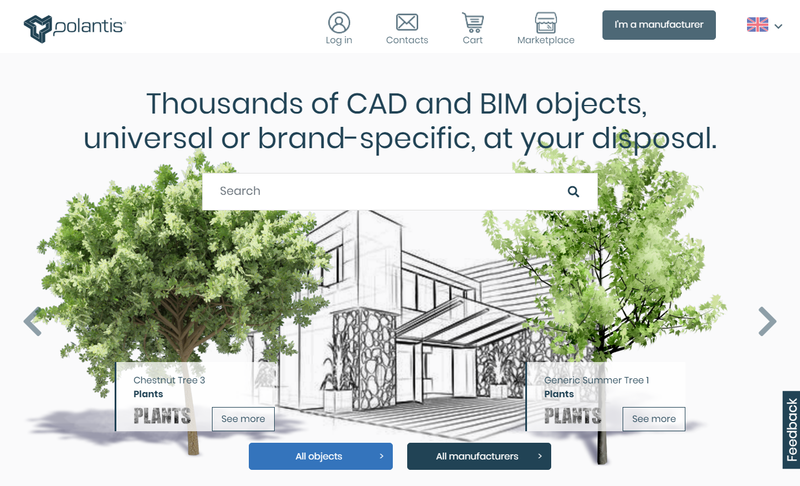 If any of the objects interest you, you can click directly on it to download it for free. On a brand page, you can find all the information about the manfacturer and acces to the commercial's contact for you area. In the left column, you will find all the type of product this manufacturer can provide. If you cannot find the desired product or manufacturer, please contact the Polantis team. 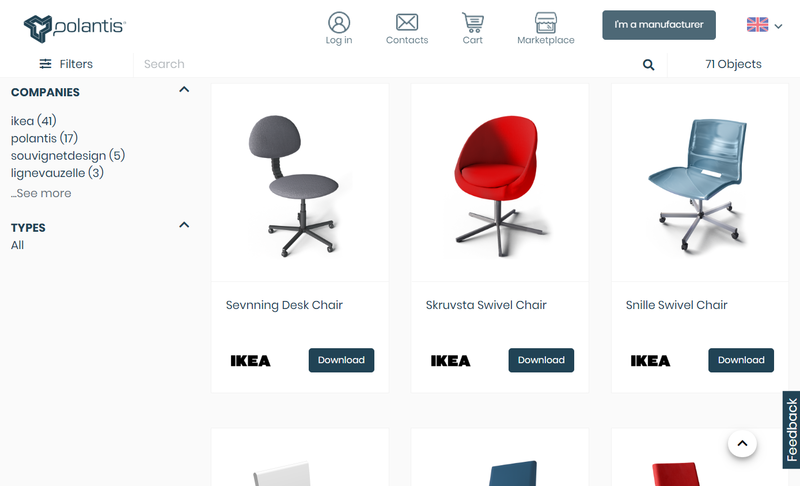 Let's say that we are searching for some nice chairs to put inside an office project; We click on the object type and select chairs. After choosing chairs, we are presented with the chair object library. We see that currently we have 71 different chairs to choose from. To the left of the picture of the chair we see that manufacturer and the available formats for different CAD software. We choose .MAX and click Download now. This is normally everything you need to know to start implementing objects from Polantis right away. 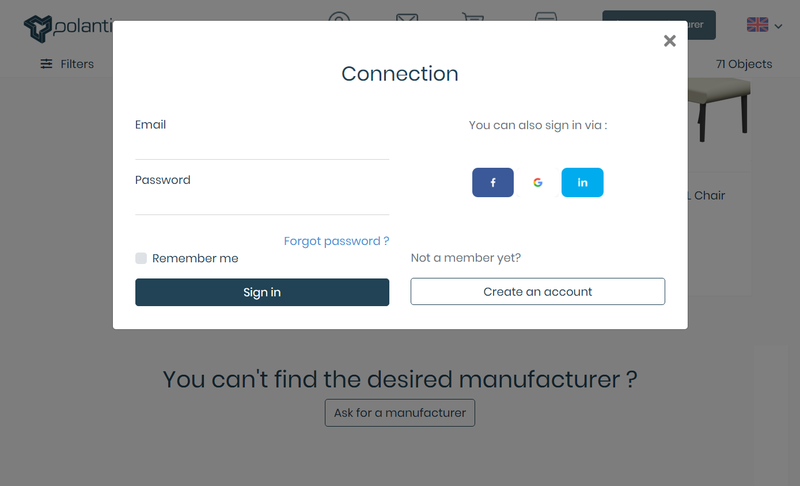 If this is the first time you visit the site, when you will download an object, you will be presented with a screen that asks you to register. Registration is free, simple and takes one minute to do. We enter the user name and an e-mail address. The address will never be shared or used in any way. After the fields have been set and we click Join, an email is sent to the address. In the e-mail, there is an activation link to confirm inscription on the Polantis site. 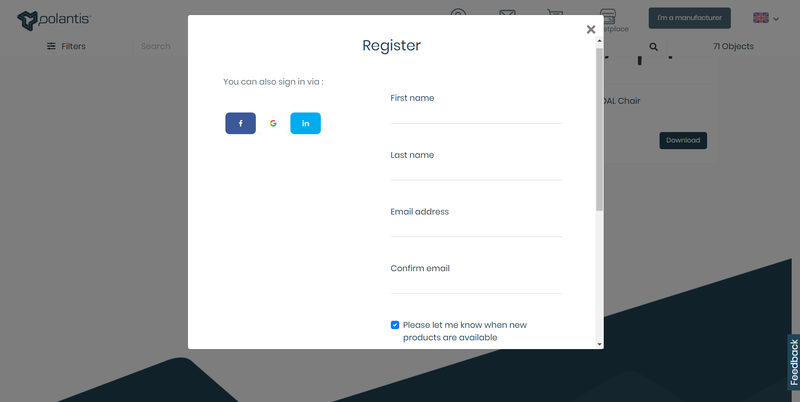 Upon clicking the link you are asked to complete the registration by inserting occupation and country. This information helps us form internal statistics of our user-database, and helps us improve our service. 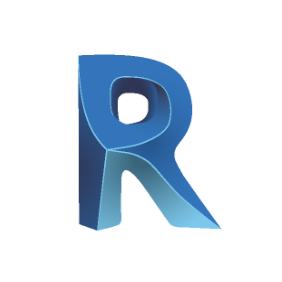 Your profile is complete, you are now ready for unlimited downloading of free architecture 3D models. We hope you find our service helpful and if you have any question, advice or critique, feel free to contact us.